Times are pretty chaotic right now. So many of us are struggling with the divisive nature of these times with opposing beliefs and opposing perspectives. People are scared, stressed, uncertain about their future. So many of us feel out of control and anxious, confused about how to regain a sense of peace and balance in this turbulent time. There is a way to remain peaceful and centered, no matter what is going on around you and what actions you are taking in the world. Are you anxious about what is going on in the world around you? Do you feel like it’s affecting your health and overall well-being? Do you feel frustrated and stuck, and don’t know how to get into action? purpose - yet you don’t know how to get started? Are you missing ways to find daily inspiration? Are you experiencing brain fog and lack motivation? If you are like so many of us, you answered an overwhelming yes to many of these questions. It’s time now to take a step, to make a decision, to take action to change your current state of being. For 3 consecutive Mondays, we’ll gather in NYC (or online) for a 2-hour group workshop, with meditation, laser-coaching from Anne Marie & Jamie, and Q&A (this will be a recorded). You will be connected through a Facebook group and supportive community of like minded people to encourage you and hold you accountable to the life you are creating for yourself. 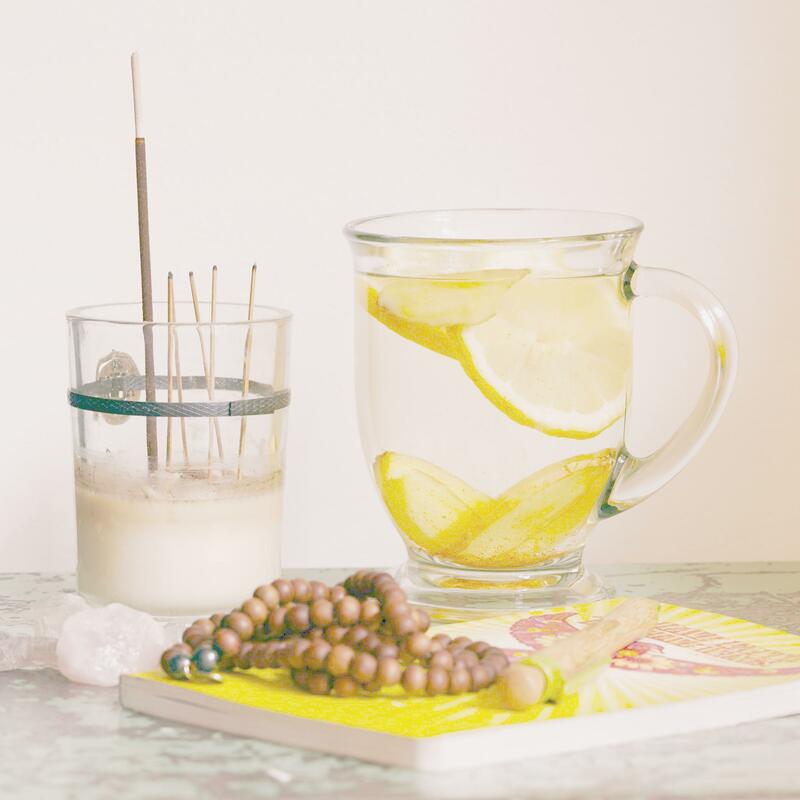 Practices for daily rituals that will keep you inspired. Practical tools to help you live a miracle minded life. An innovative workbook that will help you change your disempowering thought patterns into opportunities for healing. You’ll receive copy of Jamie's book Juice It, Blend It, Live It Over 50 Easy Recipes to Energize, Detox, and Nourish Your Mind and Body to begin incorporating nourishing, loving new food habits into your life. Ongoing support from Jamie Graber (Founder of Gingersnaps's Organic, Executive Lifestyle Coach) and Anne Marie Imperiale (Mindset Coach). - You will be connected thru a Facebook group and supportive community of like minded people to encourage you and hold you accountable to the life you are creating for yourself. - You'll receive a workbook full of helpful tools to love your body and mind. - You’ll receive copy of Jamie's book Juice It, Blend It, Live It Over 50 Easy Recipes to Energize, Detox, and Nourish Your Mind and Body to begin incorporating nourishing, loving new food habits into your life. Online or in person in Union Square, NYC - exact address will be provided upon registration. This will be recorded. Jamie, also known as "The Detox Guru, founded a specialty cleanse cafe in the West Village of New York City. Jamie specializes in whole food education, cleanse and detox programs, space clearing, and cognitive reframing training . She has been featured in The New York Times, Refinery 29, The NY Post, Well and Good, Living the Process, The Village Voice, The New Potato, The Balanced Blonde, just to name a few! Jamie has completed 500 hr Yoga Teacher certification from Yoga Works, 200 hour Yoga Teacher training from Exhale, Sacred Movement as well as Levels 1 and 2 of Gabrielle Bernstein's Spirit Junkie Master Class. She is the author of Juice It, Blend It, Live It: Over 50 Easy Recipes to Energize, Detox, and Nourish Your Mind and Body. Anne Marie Imperiale is a New York City based mindset coach specializing in helping women access the full power of their minds to create dramatic improvements in their lives, relationships, and careers. Anne Marie helps her clients break through their personal blocks and long held thinking patterns while guiding them to release their fears and become the person they've always wanted to be. Blending her empathic and intuitive nature with a strong sense of realism and practicality, she creates a safe space for her clients to make massive changes in their lives. Anne Marie has a degree in Psychology, was professionally trained by IPEC (Institute for Professional Excellence in Coaching), and is a graduate of Spirit Junkie Master Class levels 1 and 2 as taught by Gabrielle Bernstein.